Scotland is aiming to keep in the single market after the UK leaves the EU, its Brexit minister said Monday (21 November). Michael Russell told an audience at a European Policy Centre event in Brussels that only the "softest" break would work for Scotland, otherwise it should vote on independence again. The minister said it was "very important that the UK recognises or accepts the need for a differentiated solution" with regards to Scotland. 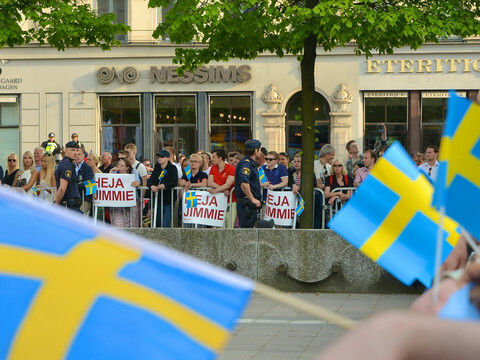 "Differentiation is vital to protect sovereign interests," he added. Russell said the notification letter that should trigger the article 50 exit procedure, that British prime minister Theresa May promised to send to the EU by the end of next March, should include commitments to negotiate those special terms for Scotland. It should also address Northern Ireland's worries about closing down its now open borders with the Republic of Ireland. But Russell said the more likely scenario was a "hard Brexit", in which London is unlikely to stay in the EU's internal market. He went on to say the Scottish government would present a paper in December on its options if Brexit does not secure access to the bloc's single market. "It must contain the right to have a differentiated solution, it must indicate the nature of that differentiated solution, and it must anticipate the attitude of the UK and the EU on that differentiated option," Russell said at the Brussels event. "Undifferentiated exit is unacceptable," he said, referring to a Brexit in which Scotland would follow the rest of the UK out of the EU single market..
"We didn't ask to be in this position, but we have to respond to it as a rational nation focused on its own interest, that would be damaged by any withdrawal and in particular a hard withdrawal," Russell said. 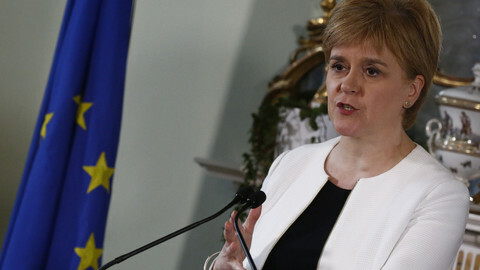 The pro-independence government of Scottish first minister Nicola Sturgeon has been campaigning around Europe to raise sympathy for the Scots, who voted on 23 June to remain in the bloc. 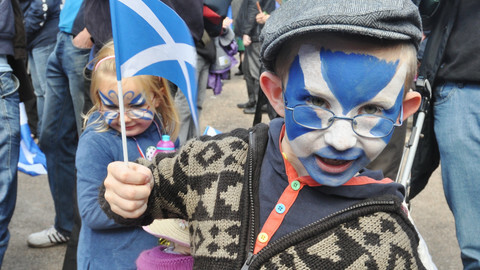 But the EU has been reluctant to promise any special treatment for Scotland as official exit negotiations have not started with the UK and because of concerns it might embolden secessionists movements in other EU countries. UK Brexit minister David Davis was in Brussels on Monday for his first meeting with chief EU negotiator Michel Barnier, who insisted it was only a "courtesy visit" and not a meeting to negotiate. Davis will be in Strasbourg on Tuesday, where he will meet the European Parliament's Brexit negotiator Guy Verhofstadt. 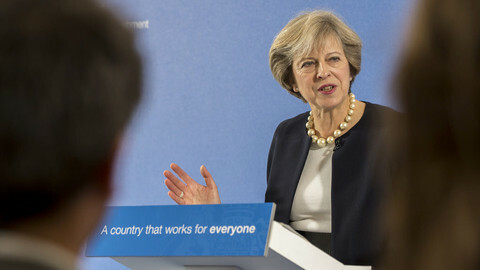 Meanwhile, Theresa May has hinted at a transitional period after Brexit, telling the Confederation of British Industry, a business lobby group, that "people do not want a cliff edge." Such a deal could see the UK retain parts of its current relations with the EU after Brexit, while a new trade agreement is agreed. Asked about a possible transitional agreement, a Downing Street spokesperson told British media: "There are a whole range of issues that are being worked through as we prepare for negotiations, with a focus on how we get the best deal for the UK. There’s a whole range of work going on." After the HIgh Court ruled that Parliament needs to agree to triggering the exit talks, the British PM vowed not to let Brexit to be "sabotaged". 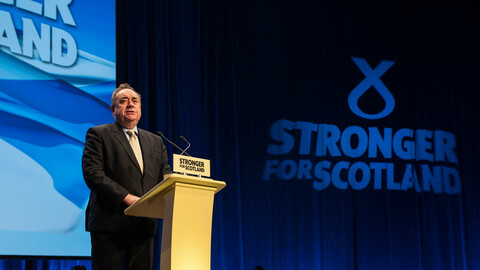 Scotland is ready to organise a new referendum before any deal with the EU if it gets no guarantee on access to the single market, Alex Salmond said. 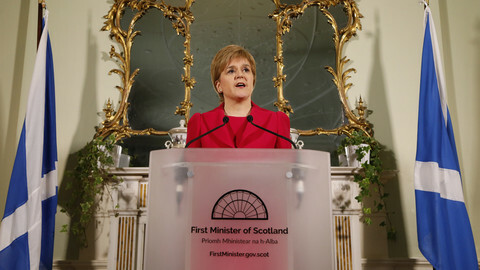 The Scottish first minister said the choice should be made between the fall of 2018 and spring 2019 as to whether Scots want to stay within the UK after a hard Brexit, or break away.